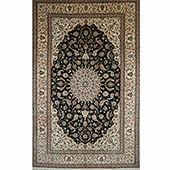 If you are looking to add a touch of luxury and style to your home then you'll adore the magical experience, the beauty and elegance, of handmade traditional Oriental carpets from Little-Persia in Glasgow, Scotland. 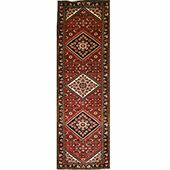 We have over 1,800 unique handmade Iranian, Turkish, Indian, Afghan, Pakistani and Chinese floor coverings in-store and available to view today. 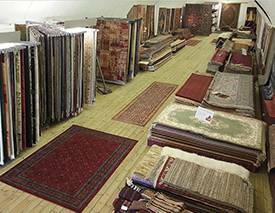 Our collection of handmade carpets is one of the largest in the UK and definitely the largest in Scotland, by quite some distance, with more stock than the Edinburgh dealers put together. 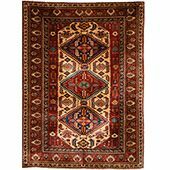 In fact, it would be of little surprise if Little-Persia had more rugs than anywhere else in Scotland including modern and machine-made retailers and when you add our Love-Rugs' stock (our modern and machine-made department) there is no question. 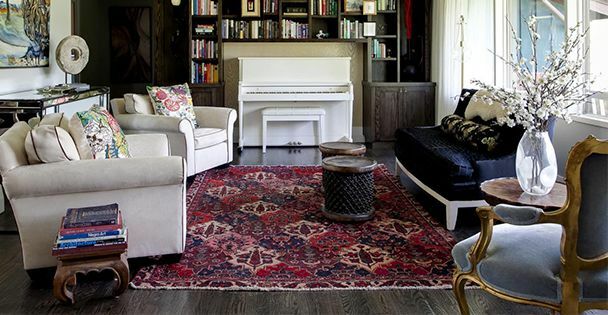 Whether you are a first time buyer or a collector of handmade carpets, you are certain to find your perfect rug amongst our unique collection. 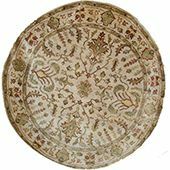 Be sure to look through our Persian carpets and Oriental rugs descriptions in our Handmade rug guide to find out more about the origins and history of your handmade carpet. Enjoy browsing through the online gallery; if you need any help please let us know. 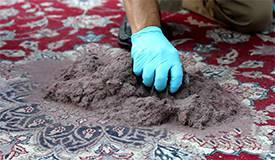 You may wish to take advantage of our free home trial and experience the handmade carpets of your choice in the comfort of your own home, with no obligation. We are confident our traditional collection is more varied and unique than any other in the country. 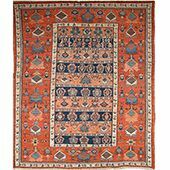 If you are looking for specialist dealers for rugs near Edinburgh, Aberdeen, Dundee, Inverness, Perth, Ayr, Glasgow or Stirling we are certain we have the most conclusive selection available. 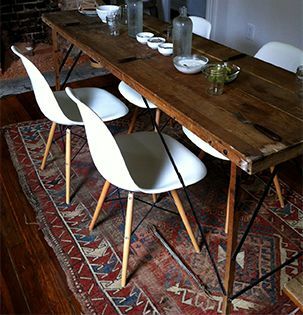 In fact we believe we have on of the largest ranges on offer in the UK including London. 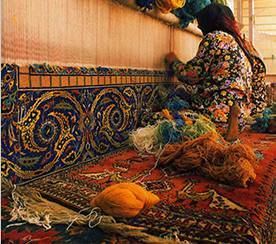 Little-Persia also offers expert Persian and Oriental rug sourcing, Persian rug repair, restoration, and valuation services as well as professional hand knotted Persian rug cleaning for new and antique carpets - read our Persian and Oriental Rug Services page to find out more. 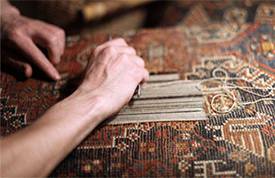 If you already own a hand-knotted rug why not try out our handmade rug calculator and find out how long it took to weave? 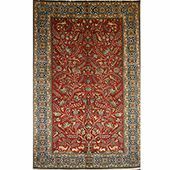 Our rug collection is the largest in Scotland and includes popular designs from cities such as Shiraz, Kerman, Kashan, Esfahan/Isfahan, Nain, Tabriz and many other renowned centres of rug production. 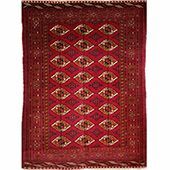 You’ll find an extensive range of flat-weave Kilims, thick Gabbeh carpets and popular designs such as: our popular red pieces including Khal Mohammadi rugs, Afghan Reds or Aqchas, as well as neutral tones such as our collection of Ziegler rugs (sometimes spelled Zeigler or often Chobi, Peshawar or even Afghan Mahal) as well as a wide selection of hall runners and round rugs. 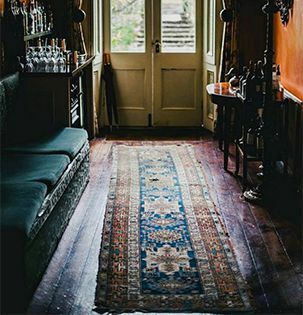 You can find over-sized to small sizes, Persian hand-knotted silk rugs and wool fabrics in traditional and modern designs, Gabbehs and Kilims, and many other types of handmade carpets that you won't find in the rug stores of Edinburgh, Scotland or, for the most part, the entire United Kingdom. 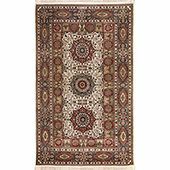 Little-Persia has one of the widest range of the popular Zieglers and Khal Mohammadis in the UK, complementing our extensive range of tribal, town and city weaved carpets. 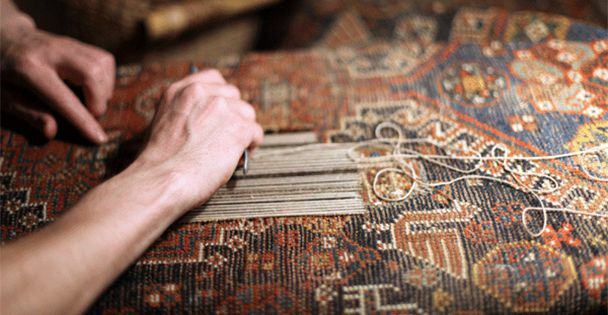 In the past few years Little-Persia has worked hard to become the number one supplier of traditional handmade carpets to Interior Designers throughout Scotland, with clients in the Glasgow, Edinburgh, Ayr, Helensburgh, Stirling and Aberdeen areas. 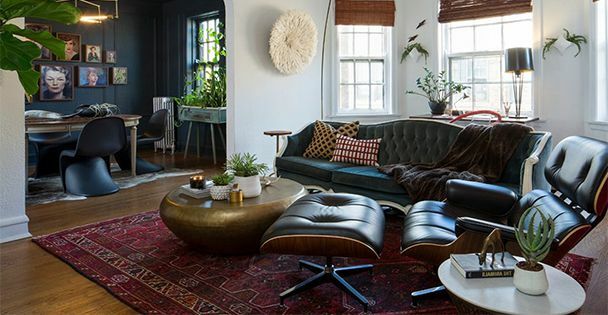 We have recently worked with interior designers in the north of England and London and are open to partnering with any interior designer, decorator or trades-person in order to improve their client offering. 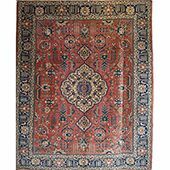 Visit Little-Persia at 11 Commerce Street to find the perfect item your for you interior, whether it be a silk rug or antique carpet to add character and elegance to your home. 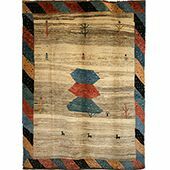 For something more modern we have a selection of contemporary Gabbeh or Kilims and even have a selection of machine-made traditional and modern rugs via our sister website Love-Rugs. 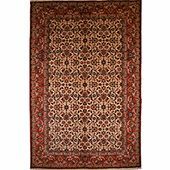 Little-Persia has it all with Scotland's largest collection of over 2000 Oriental carpets you'll be spoiled for choice.